Yogg-Saron (yog-suh-RAWN) is an Old God of many names, each one of them a mouthful. It’s amassed titles such as The Beast with a Thousand Maws, That Which Must Not Be Named, The Fiend of a Thousand Faces, and its personal favorite: The God of Death. For a cosmic horror with an identity crisis (and a taste for forbidding and lengthy nicknames), it’s got a real silver tongue. Lots of silver tongues, probably, since its face is mostly gaping, toothy maws. 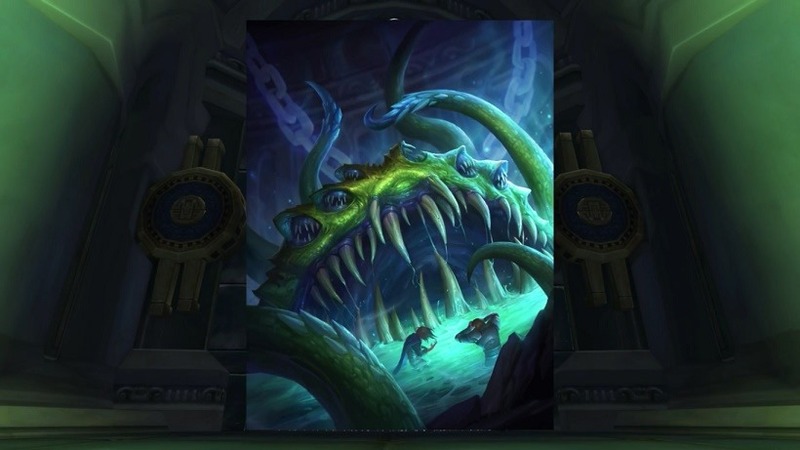 Anyway, finding eternal imprisonment beneath the continent of Northrend to be a bitter pill to swallow, Yogg-Saron used nothing more than its insidious whispers to corrupt its own jailers. It succeeded in turning them against each other before taking control of them, and the prison complex itself. Yogg-Saron sounds nice and evil! What does the old god do in card form though? Hot damn! Out of all the old gods, I think Yogg-Saron is my favourite by far. Though he costs 10 mana, and only has 7/5 stats, his battlecry just looks deliciously chaotic. Can you imagine how awesome it must be to spend the entire game casting spells here and there, and then throwing Yogg-Saron out late game? The result is sure to be spectacular! I think he will fit nicely into a good few decks. Then again, I’m a complete Heathstone amateur, so what the heck do I know? What are your thoughts? Are you excited to get your hands on Yogg-Saron? Is it a great legendary card? Next article Marvel's CLOAK AND DAGGER gets TV series order!